Barbara Park received over 40 awards for her books, including 25 Children's Choice awards. Park was the daughter of a merchant and a secretary, Doris and Brooke Tidswell. She grew up in Mount Holly Township, New Jersey. From 1965 to 1967, she attended Rider College, later finishing her B.S. in 1969 at the University of Alabama. She married Richard A. Park in 1969. She lived in Phoenix, Arizona for almost 30 years and had two sons, Steven and David. 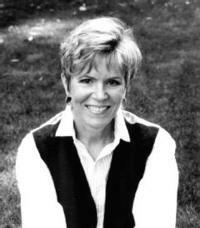 She was the author of the popular Junie B. Jones children's series. She won seven Children's Choice Awards, and four Parents' Choice Awards. She also wrote many middle grade novels, such as The Kid in the Red Jacket. Who is your favorite author writing fiction for children?